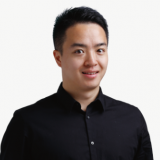 Weilun Feng, formerly worked in top tier consulting firm specialized in technology/internet/digital strategy planning and execution in North American Region. The current Head of Customer Experience Strategy at Didi Chuxing, directing Experience Strategy and Planning, Global Experience, Experience Supervision, and Experience Corporate Culture. He architects Didi CX management frameworks and measurement structure(especially NPS, CPO, and key business experience metrics) not only for the various existing Didi business units, but global and regional operations with different culture and competition landscape as well. Also initiating and managing CX optimization and customer growth projects cross corporate functions by corporate culture and supervision tactics. Check out the incredible speaker line-up to see who will be joining Weilun.